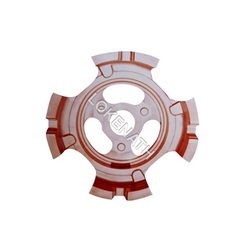 Our product range includes a wide range of aluminum casting for clutch covers. Our organization is engaged in offering a wide range of Clutch Cover/Turbine Vane/Compressor Body. These are suitable for machine/hand moulding for their good strength & stability. These are highly resistant to corrosion, dimensionally accurate and durable to ensure the efficiency of the turbine at users end. Looking for Aluminum Casting for Clutch Covers ?